For last few days I was looking for a microphone which I can use for recording voice and music practicing sessions. After a huge search on online eCommerce websites I finally decided to purchase Ahuja UTP-30 Condenser Microphone. So here in this article I am going to share my experience on this microphone. I will also include the main specifications of this collar condenser microphone. Why I selected Ahuja UTP-30 Microphone? Click on the Image to Buy it now from Amazon! 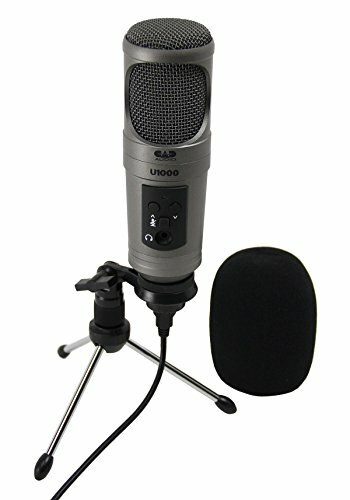 Well, I was looking for a mic which I can easily pick and start recording my voice. Because, recording with a large diaphragm condenser microphone (every time in practicing) is like investing extra time. Another reason to buy Ahuja UTP-30 Microphone was that I actually needed a microphone which I can connect in my PC or Laptop with 3.5mm jack and also in my audio interface which is having 6.3mm jack. It can be connected to any PC or Laptop with 3.5mm jack. It also can be connected to any Professional Audio Interface which has 6.3mm instrument input line. The cable with this microphone is very big (6m), so you can also record outdoors. It is unidirectional microphone so it picks less noise from other directions. What comes with Ahuja UTP-30 Microphone? 6 meter long cable sometimes cause discomfort. So you have to keep it well folded. If you directly speak the mic while keeping it very cause to mouth, then a little air passes through wind shield. If you have further queries you may write below in the comments. If you want more lavalier microphone suggestions then you may Visit this Page.